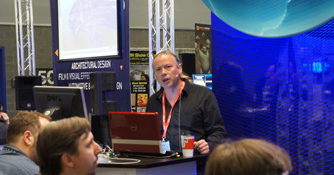 Meet Golaem at Siggraph Vancouver, August 10-14. We will be happy to hear about your next crowd challenges and show you all novelties in Golaem Crowd. Meet us on the Golaem booth on French Pavillion #921 or attend our course on crowd simulation algorithms. Golaem Crowd 3 has been extensively used by major studios for upcoming feature films (hint) and these cooperations resulted in many cool features and user experience improvements. We also come with a bunch of unannounced features showcased in an impressive demo made using a Maya / Golaem Crowd / Yeti / Arnold pipeline. 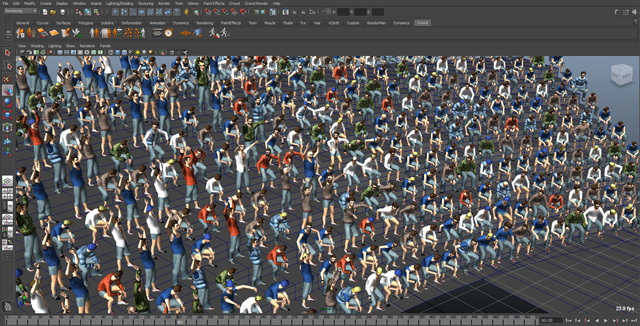 If you want to learn crowd simulation in-depth, we will also be given a lecture on the topic together with academic pundits Ming Lin and Julien Pettré, as well as Unity Software Developer Mikko Mononnen. Learn from academic & industry experts about the theoretical, technical, and practical aspects of crowd-simulation algorithms. Nicolas Chaverou, Golaem Crowd Product Manager, will give a brief overview of the Golaem Crowd simulation and rendering workflow. Meet the Golaem Crowd Product Manager and our CTO to get a live demo of the latest features in Golaem Crowd. Golaem Crowd 3.2 introduces a Crowd Paint Tool enabling artists to place their characters and control their behaviors (Character Attributes, Triggers and Navigation) with a simple brush. 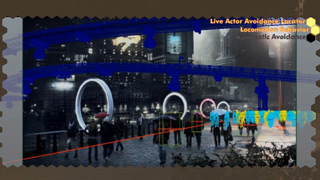 Placement: place characters by painting them on the ground, while controlling their density with color. Character Attributes: paint character attributes to control their behaviors and their appearances. Zone Triggers: paint color zones on your terrain to activate/deactivate behaviors on your characters. Navigation: control characters path-finding by painting vector fields on the ground. Golaem Crowd is currently used by more than 50 studios all over the world, from one-man shops to established studios like Framestore or Cinesite. Some of their productions have been included in the new Golaem Crowd Showreel, e.g. the “Lipton, Be More Tea” commercial, featuring crowds of Muppets, made by Framestore for the opening of the Academy Awards ceremony. Golaem Crowd 3.2 benefits from these users’ feedback and integrate lots of usability improvements as well as new behavior operators (delay, loop, script). Golaem Crowd is more and more open. 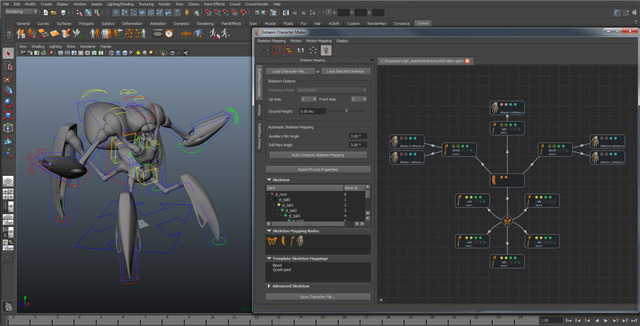 Simulation caches can be loaded directly in Maya for editing them or adding FX on top. Code samples are also provided for loading them directly inside studios proprietary tools, and the MEL/Python API is growing. This focus on ease of use and interoperability is what enables Golaem Crowd customers to nail down pipeline integration very quickly, have their artists send shots for review in a few days and make producers & clients relax. Both are floating licenses, enable to render on an unlimited number of nodes for free, and come with a contemporary ready-to-use Character Pack. Maintenance & Support Subscription (875 EUR/year) enables permanent licensees to benefits from all upgrades including major versions. 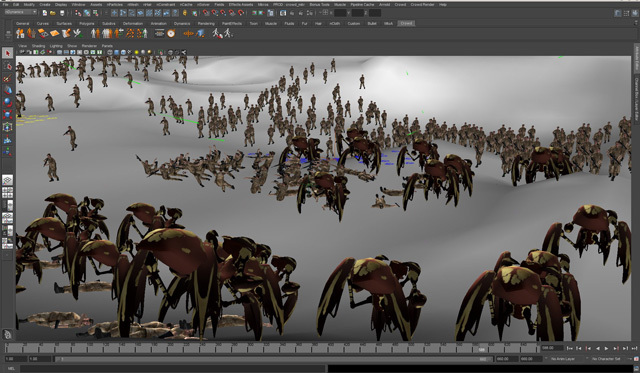 Golaem just released a new update for its crowd simulation plugin for Maya. Golaem Crowd 3.1 now enables to visually follow the execution of characters behaviors in the Behavior Editor. The Golaem Crowd Behavior Editor makes it simple to describe elaborate behaviors by drag'n'dropping a few built-in behaviors and connecting them to each others. It is now directly linked with the Maya viewport and can display which behaviors or motions the selected character is running. It makes it easier than ever to build behaviors and identify unexpected behaviors or wrong configuration. Golaem Crowd is now compatible with Arnold 4.3 + mtoa 1.x. Golaem Crowd has been used together with Arnold on several productions for commercials, movies and animation. The most recent work being the Nike commercial done by Framestore for the launch of Brazil World Cup 2014 kit. The new Golaem Crowd Character Maker handles any type of characters: bipeds, quadrupeds and n-peds. It supports any custom skeleton description and has been successfully tested with various industry standards ( Human IK, 3DSMax biped, Rocket Box, Daz3D, Pinocchio, Advanced Skeleton…). 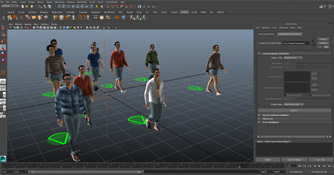 The Golaem Crowd Character Maker can also automatically edit your motion capture data and make them cycle perfectly while preserving animation. Powered by a revamped animation engine, Golaem Crowd 3.0 helps to save time and work at each step of the production. Because most cumbersome tasks are automated, artists can now focus on what they do best: being creative. Golaem Crowd procedurally generate new motions by mirroring motions, mixing them together or automatically retargeting them to various character size/morphology, hence dramatically reducing the amount of motions to be produced. 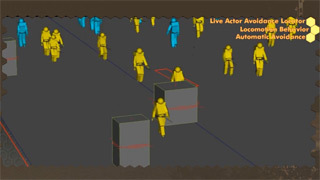 Built-in behaviors automatically choose motions depending on character speed or orientation, adapts feet to the ground (matching closely the ground geometry), or make a character look at a given target or aim at something with a gun. Last but not least, Golaem Crowd now allows to enable or disable physics simulation at any time, at the character level, or even at limbs level in order to mix physics simulation with animation. 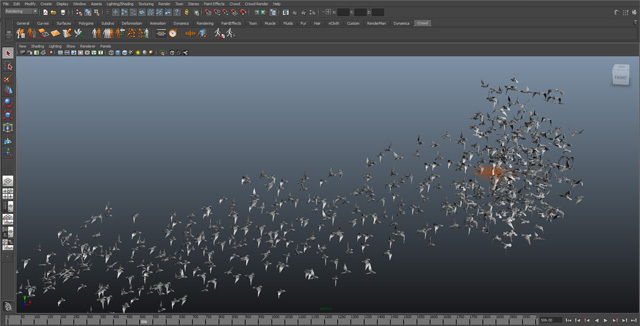 Together with automatic 3D placement, Golaem Crowd provides new behaviors for controlling flock of birds or school of fishes with unmatched performances: interactive with 10 000 birds and geometry preview. The flock can wander in a given zone, seek targets or flee dangers. To speed up shots creation and validation, Golaem Crowd proposes a new interactive previzualisation of the crowd simulation, including geometry diversity, directly in Maya viewport. Today we'll talk about our last Siggraph Demo. You may already have seen part of it in the Golaem Crowd 2.5 video: it features the creation of flying ships, animated thanks to Maya fields, and live actors integration within a virtual crowd. 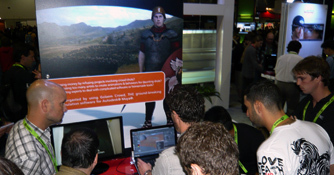 Our visitors on the Siggraph Booth particularly appreciated the fact that it was very easy to get the live actors avoided by the virtual extras. Axel Domenger, the freelance artist who created this demo, did a nice breakdown of the shot, showing how Golaem Crowd was used to reach this result.